Oklahoma Watch offers a variety of corporate sponsorship opportunities to help your organization reach our audience. e.g. “Oklahoma Watch Weekly Newsletter, Sponsored by Company ABC.” Includes the top banner and bottom ads in the newsletter. 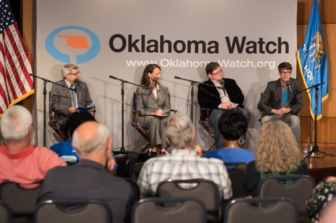 Oklahoma Watch-Out public forum series where the public can participate in a live event with our editor moderating a discussion on a topic of public importance. 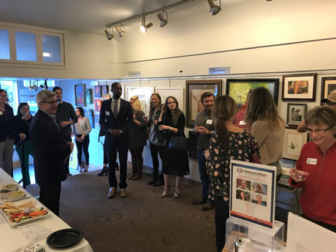 Oklahoma Watch’s News & Brews happy hour events where subscribers mingle with reporters and editors, discuss current affairs and meet other members of the Oklahoma Watch community.